About Us | CrossMark Inc.
Cross Mark has over 20 years experience in providing manufacturing expertise for soft and hard goods. Our garment manufacturing facilities are fully versed in delivering large and small orders for your uniform needs in a timely and efficient manner under tight quality controlled industry standards. Since 1994, Cross Mark, Inc. has been developing our clients concepts and ideas into product success. From beginning drawings to finished product, Cross Mark is experienced in providing the logistics to bring your product to market. 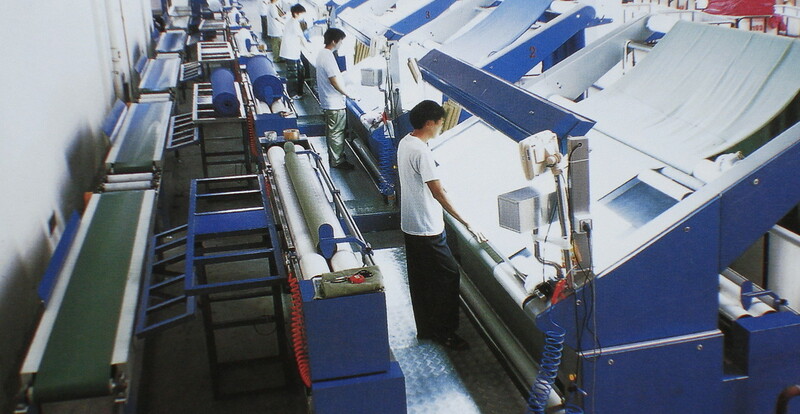 We have extensive experience managing and fulfilling orders of all sizes from factories around the world. Experience matters….a lot! Cross Mark has developed an international model that ensures your goods are delivered on time and meeting your budget parameters. We provide stringent quality control of your custom made goods. Our dedicated Quality Control professionals based in our offices in Shanghai are in touch and on site. Cross Mark provides its clients with peace of mind that their products are being produced professionally and delivered on time. Freight forwarding, customs clearance, factory inspection, delivery to final destination, warehouse coordination, third-party product testing and quality control are just a small sample of the services we provide with every order. We have the experience and capability to deliver your products at or above the quality you expect.